Physical fitness for seniors is important. The benefits of a life filled with exercise cannot be underestimated. 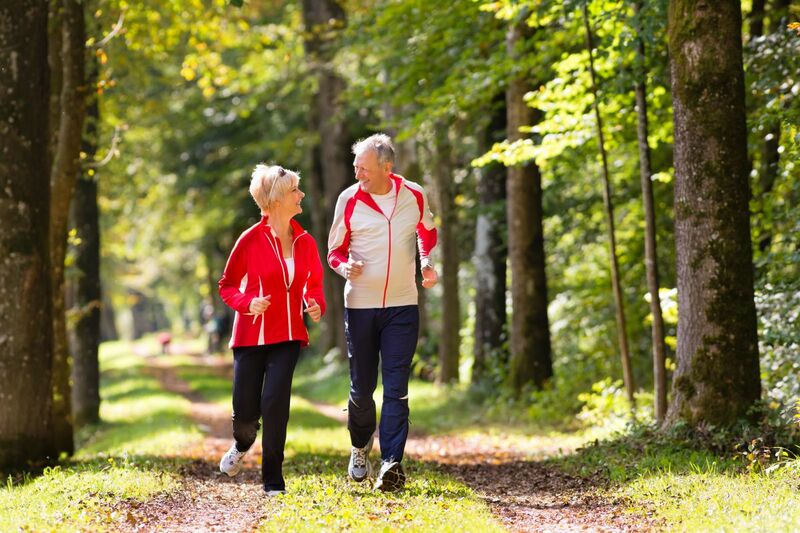 Conditions that usually accompany the process of ageing can be delayed if you stay active. Many adults who are in the age group of 65 years and over spend an average of 10 hours lying down or seated on a daily basis. This makes them the most sedentary age group. The not so good news is that the price to pay for this inactivity is high with seniors being more hit by falls, heart failure, strokes, and early deaths than the general population. As you get older, it is crucial to stay fit if you want to stay independent. Scientists say that staying fit and exercising can help reduce and delay disease and disability. One of the most efficient ways to cut down your healthcare bills is by exercising. For example, research has shown that persons with heart disease, arthritis, or diabetes benefit from consistent training. Keeping fit also aids individuals who have balance problems, high blood pressure or difficulty walking. Health caregivers will themselves regularly urge those involved in senior care to push and also help them in staying fit and active. Exercise can have beneficial effects on the mood and help lift depression. Studies show that group fitness classes amongst older adults can aid decrease signs of depression by 30 % or even more in exercising elder adults. This can help uphold a general greater liveliness later in life and assist in preventing undesirable feelings that are seen during aging. An inactive routine can affect you at any stage, but after retirement, the days might appear longer. Taking part in an exercise program may help fill in the hours. A regular walk when you are feeling blue will lift your spirits. Exercise will likewise improve mental functions. As you get older, your memory may not be as perfect as it once was. Exercise can benefit and improve mental effort. Happenings in daily life and even medications can prevent older citizens from getting proper sleep. Exhaustion through physical fitness can help put the body in a position that can help you get maximum rest. To reap full benefits, avoid strenuous exercise on the body at least 2 hours before bedtime. Many seniors desire the ability to maintain functional independence. Consistent exercise encompassing strength and balance exercise can help achieve this. Purpose to be physically active for at least 30 minutes each day and to strength train for at least two alternate days per week. As well as consistent physical activity, aim at reducing the quantity of time you devote to inactivity during the day. This means extended periods of time on the computer, driving, and TV viewing, sitting to talk or listen to music. With these pointers, you will be on the way to improved physical and mental health.